Be the professional hairstylist and the girl hair dresser. Enjoy making different braided hairstyle in the famous fashion hair salon. 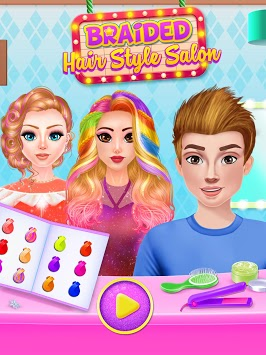 Get the girl hair makeover now and make her more beautiful with different jewelry. Follow all the procedure for making the girl braided hairstyle in the fashion girl hair spa salon makeover. 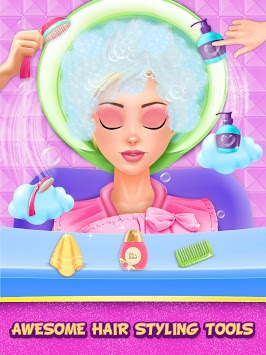 This is the fun entertainment beauty hair spa makeover game with different hair styles to make. Improve the creativity in terms of the DIY braided hairstyles and be the reason for the girl fashion makeover hairstyle. Wash, design and change different braided hairstyles to the fashion girl and put on the necklace, crown and earrings. Make the fashion dream girl more attractive and beautiful. 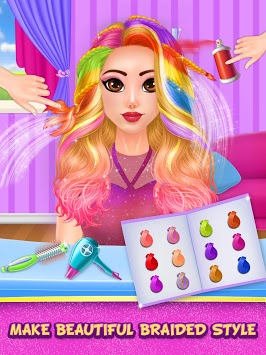 Moreover, change the color of the girl hair with different colors.